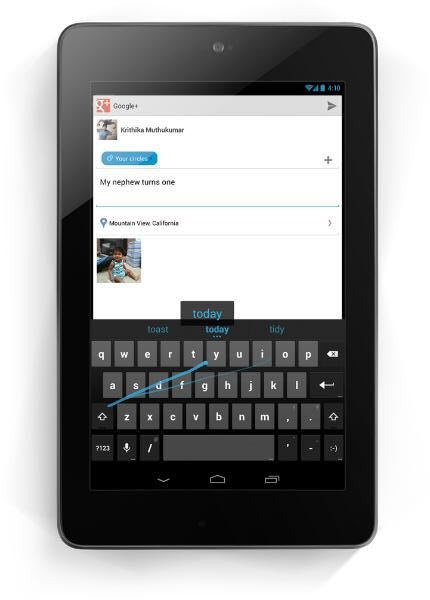 Google introduced a brand-new input method on the stock android keyboard called “Gesture Typing”. Basically it is Swype. There you drag your finger to type instead of tapping. Now, getting it on your device is easy those who wants to try this may follow the given below tutorial. Full credits will goes to the XDA recognized contributor mrmako777 who has come with the download links and instructions for installation. Users those who wants to install this keyboard must need to be running ICS or higher in order to install it. Please make a note that if you have a Samsung Galaxy Note 2 or a Motorola Atrix 2 Smartphone you cannot follow the given below instructions because some specific instructions are available for those two devices. Others can make use of this tutorial. If you are on a phone with a UI overlay that has the stock keyboard disabled (eg. Samsung, TouchWiz, HTC Sense, Sony) then follow the given below instructions. 1. First, download the APK from here. 2. Once you downloaded, then place the same in your SD card. 4. Go into your phone’s keyboard settings and enable “Android Keyboard”. That’s it you’ve done now you can switch to the new keyboard. Enjoy! If the simple APK install didn’t work for you then use this instructions. 1. First, download the flashable zip file from here to your computer. 2. After that reboot your device and allow it to enter into the recovery mode. 3. Once, you entered into the recovery mode, install the zip from SD card. 4. Reboot the device again and enjoy!